In some rooms it just makes sense to have a piece of furniture angled in the corner. That's the case with my sister's living room. That's just the layout that works best for them, but the walls around it were always puzzling. Do you put something on just one wall? both walls? 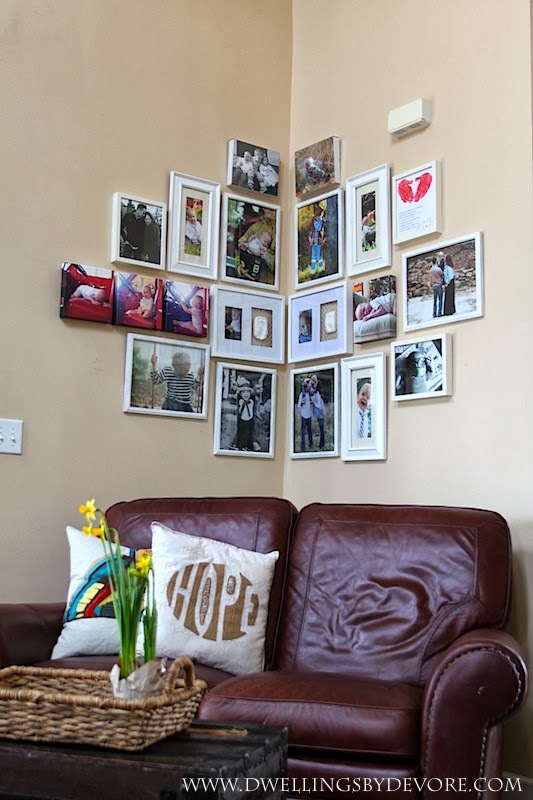 She has had several things there over the past few years and recently added this gallery wall. I thought it was a great start, but things were looking a little out of balance so she enlisted my help. 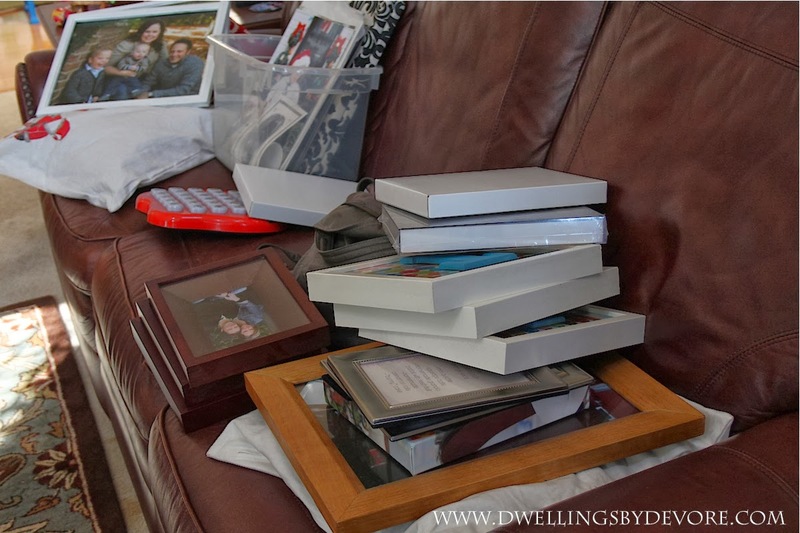 She hunted down some frames from around the house and we got to work. There was really no method to the madness, I just started laying things out on the floor to get a feel for how they would look. I wanted it to be fairly symmetrical with the ends tapering off. This is what I came up with. It fills up that wall so much better and it no longer feels like an awkward space. Mission accomplished. Perfection! LOVE how it somewhat appears symmetrical but actually isn't. love it! i am so smitten with this look! it's amazing! That looks amazing. I want you to come to my house!! love this idea! super unique! and I love the symmetry it creates. What a great solution! I love how that wraps the corner. You're right, that's such a tricky space to decorate and you came up with a fantastic plan. 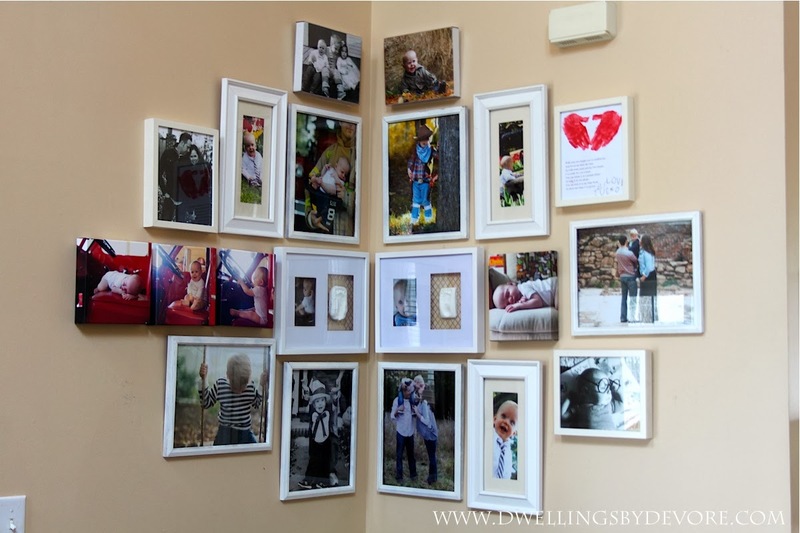 Figuring out the right size and shape of a gallery wall is so tricky- you did awesome on this one!! 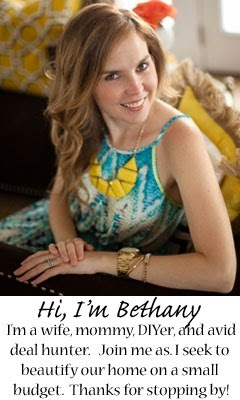 I love the way this looks Bethany! 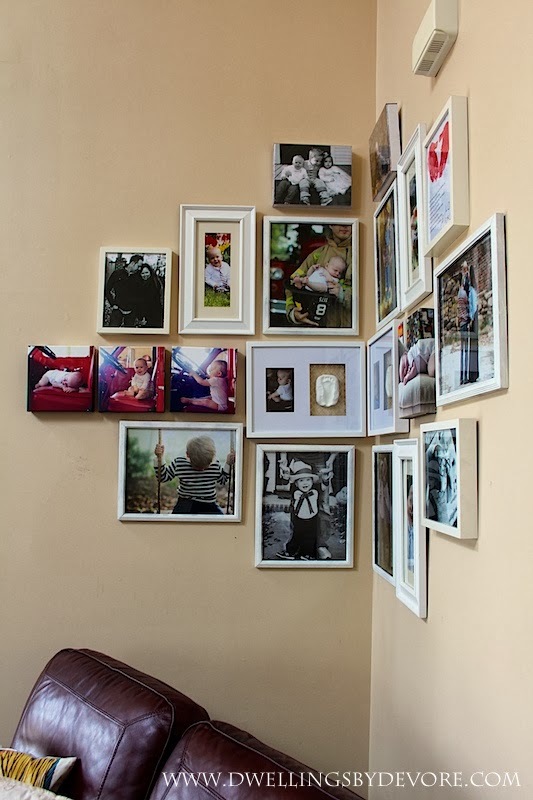 A unique take on the gallery wall! That is beautiful! 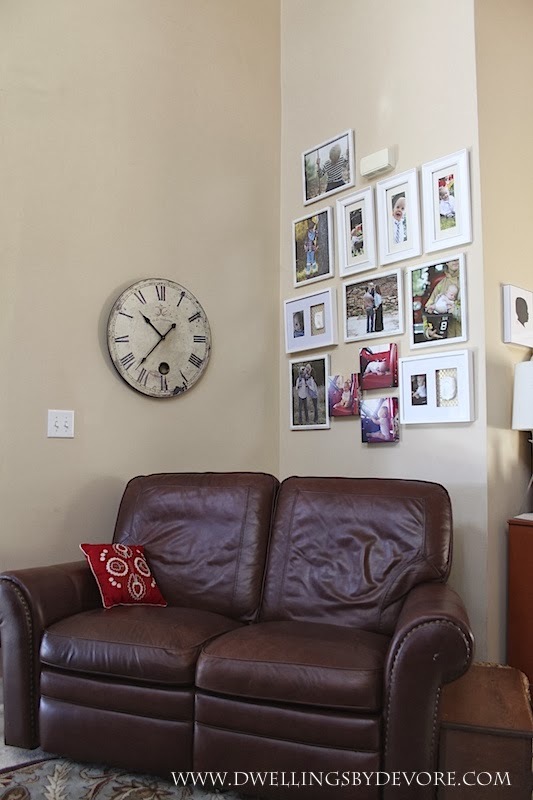 It really balanced the corner and made sense of the angled loveseat. Gorgeous!